The inaugural race for our new Trophy commemorating our late patron Miss Audrey Andrew took place over Bank Holiday Monday. 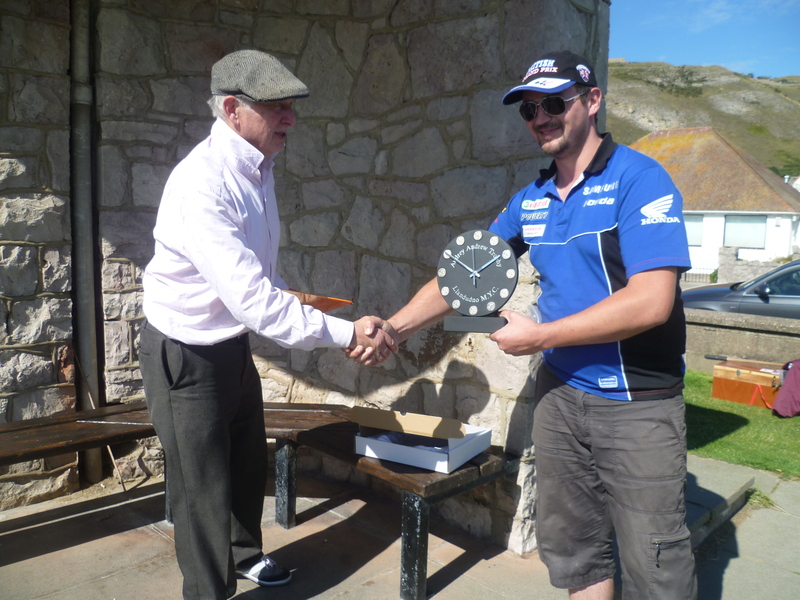 Seven yachts competed for the newly finished trophy, a slate clock incorporating the silver medals won by Audrey’s father who had won them at Llandudno in pre-war days. Those present were Alan and Margaret Bell, Lisa Mc Kerchar and Vic Applegate, Dave Bell, John Brierley, Elliot Gibson, Eric Shenton, Graham Reeves and Gareth Morgan. Proceedings were opened at 10a.m. by Club Secretary Gareth Morgan who quickly handed over to Lisa McKerchar who had kindly agreed to act as Officer of the day. Despite an adverse weather forecast, the day remained sunny with light to moderate west south westerly winds prevailing, causing some skippers to alternate rigs to compensate for the fluctuating wind strength. Many of the boards were very close run, resulting in some exciting racing, despite which there were comparatively few re-sails reflecting on the high standard of sailing and organisation observed. Four heats had been completed when lunch was taken at 12.15 and it was still very much an open competition, John Brierley (Sybora) was notably fast on the beats while Graham Reeves sailing the ex-Graham Wyeth mark 1V Diversion “Blue Bullet” consistently found both ends of the lake in fine style, however, victory finally went to Dave Bell sailing the notoriously ‘fussy’ Mike Dann “Gecko” to beat Graham by a margin of just one point gained during the last run of the day. 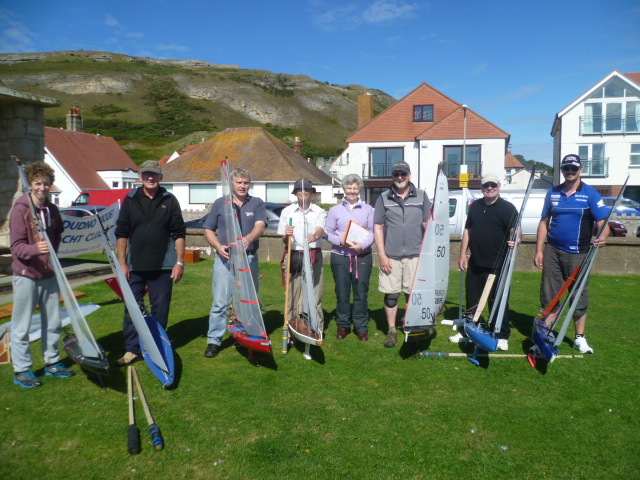 Commiserations to Elliot Gibson who managed to snag plastic bags on two consecutive beats, the second occasion resulting in him losing the hydrofoil from the skeg of his Mark 1 Diversion, also to Eric Shenton sailing the oldest boat out, a Vic Smeed ‘Gosling’, who despite placing last in points must surely rank higher for sheer enthusiasm. Dave Bell Won the day with a splendid performance of Sailing! Llandudno, the ‘Paradise for Model Yachtsmen’, had once again worked its magic. Victors and vanquished all agreed on what an enjoyable day they had had amidst calls for further events of a similar nature at West Shore.